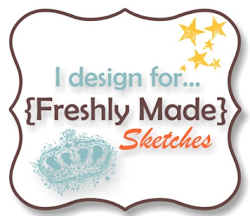 Lesley’s given us this fabulous sketch to create our cards for this weeks Merry Monday challenge. I’ve dug around in my stash of retired Stampin’ Up! DSPs again and found these pretty papers. The Basic Gray DSP is from Lap of Luxury and the Real Red DSP is from Christmas Cocoa Specialty DSP. There’s lots of layers to this card, some Stampin’ Up! Window Framelits and a coloured poinsettia from Watercolour Winter. The sentiment I’ve used is from More Merry Messages – using the sentiment as my focal point is something I don’t often do, but I was happy with how it turned out. We’d love for you to join us this week – head over to Lesley’s blog and join in our Christmas card fun. You can click on each of the Merry Makers names below to check out their gorgeous cards. Gorgeous card, as always, Narelle! Love the mix of designer papers and your fussy cut poinsettia! Beautifully done! 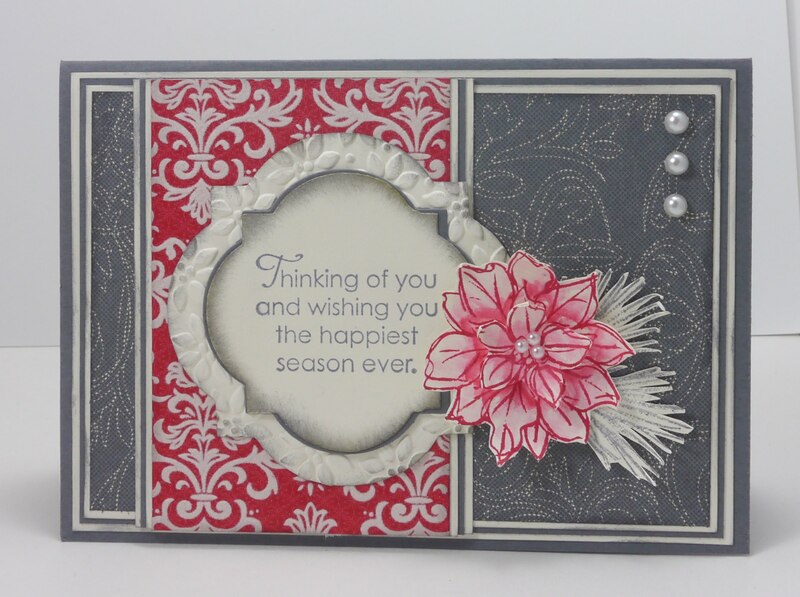 Love all your design elements Narelle, beautiful vintage card and gorgeous colours. Classy and elegant! Love that fussy cut flower! You are the Queen of fussy cutting! What a beauty Narelle, love the colors you used and your pretty poinsettia!!! Your card is so elegant Narelle, I love everything about it. Narelle this is gorgeous, the embossing around your frame is stunning. Beautiful card. Love the colors and the pretty poinsettia and pine branch. Just gorgeous, Narelle. Love the colours you have used. Such an elegant card. This is so pretty Narelle, I love the unexpected colours! Very pretty Narelle, I love these colours together and your poinsettia is lovely.